We’re only two months into 2019 and human rights organizations have found that four women have been murdered every day in Brazil. According to The Guardian, it is a startling rate that the Inter-American Commission on Human Rights (IACHR) called “alarming” on Monday. The IACHR is calling for more to be done to prevent and prosecute femicides in the South American country. To bring an end to femicide, Brazil passed a law in 2015 that gave a legal definition to the crime where a woman is killed by a man because of her gender. Brazil implemented lengthier sentences of up to 30 years for convicted offenders. Brazil is among 15 other countries in Latin America who have instituted new laws against femicide in recent years after the United Nations listed South America as having the world’s highest rates of femicide. Commissioner Margarette May, IACHR president and rapporteur for women’s rights, acknowledged that Brazil’s 2015 law on femicide helped make the murders of women more visible, but she says more still needs to be done. 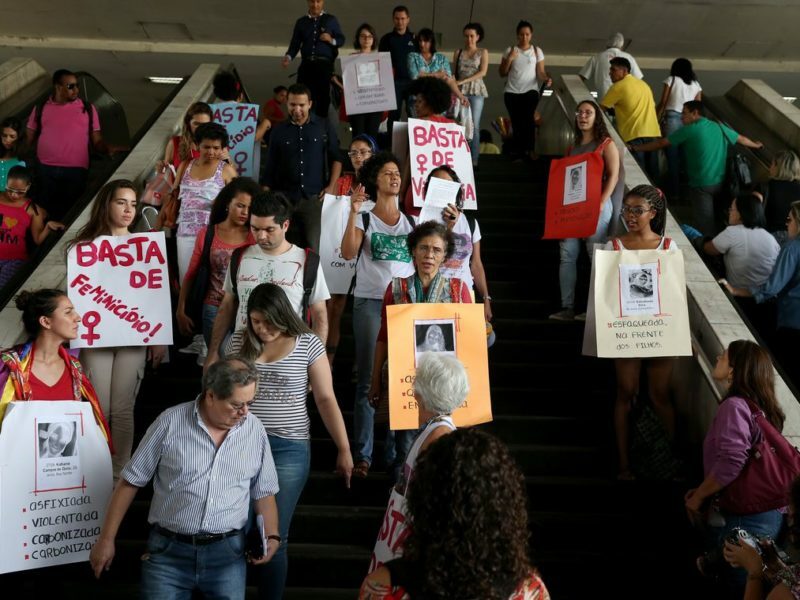 IACHR said women in Brazil are often killed are shot dead in their own homes at the hands of current or former boyfriends who have a history of domestic abuse. Femicides are not an “isolated problem” but reflect “sexist values deeply rooted in Brazilian society”, the IACHR added. The IACHR believes black women, those belonging to indigenous groups, the LGBT community, and female politicians and human rights activists are most at risk of being killed in Brazil. Brazil’s current president, Jair Bolsonaro, took office last month and has since renamed the existing ministry of human rights to the ministry of women, family and human rights, and included indigenous rights with women’s rights issues. The country’s new minister for the department, Damares Alves, has also pledged to take action on the country’s gender wage gap and the support for poor women.